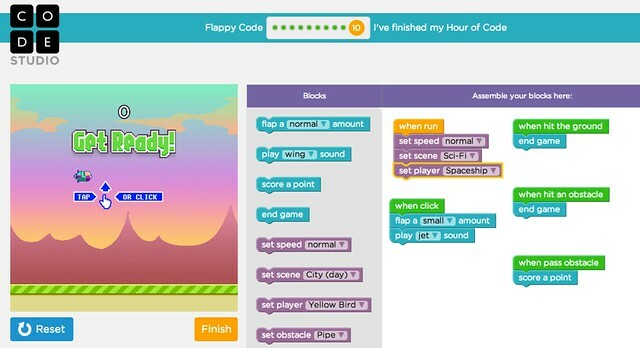 Make your own Flappy Bird game (but first, learn how to code it). When you make YOUR GAME, be sure to get the link and share it at this site. (Just click on the wall, add your name and the name of your game, and paste in the link to your game). The Hour of Code does not end this week, so feel free to return when you want.